Contest: Win WEST SIDE STORY On Blu-ray! | Birth.Movies.Death. 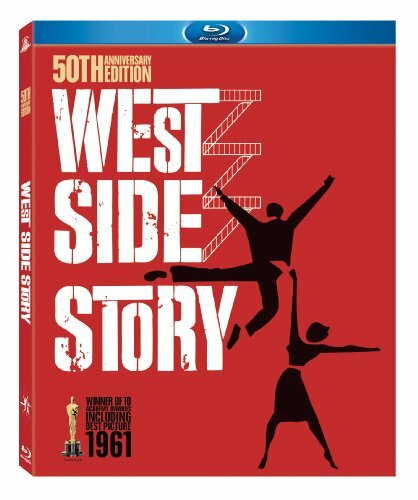 Contest: Win WEST SIDE STORY On Blu-ray! Calling all Sharks! Calling all Jets! Win a copy of the classic musical on Blu! I love West Side Story; the modern retelling of Romeo & Juliet is beautiful and kinetic and funny and sad, and it has some of the best dancing ever captured on film. This new Blu ray is expansive, with THREE DISCS (although one is the DVD version), and with Sondheim commentary. I haven't delved into my copy yet, but this looks to be a packed edition. What is David Cross' connection to West Side Story? Email me the answer to that question, along with your mailing address, at devin at badassdigest.com. Please put WEST SIDE STORY in your subject line.